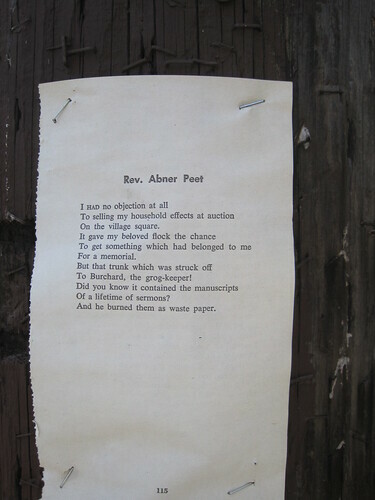 Have You Read The Poetry Of Fremont Avenue? 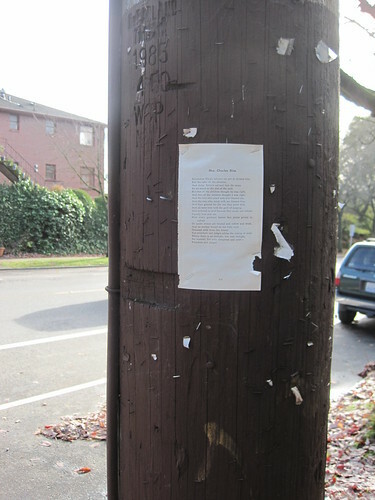 If you’ve walked along Fremont Avenue heading south recently, you might have noticed a page stapled to every-other electrical pole along your way. Some of the pages have already fallen or been racked by the weather but most remain for now. I’m not entirely sure when they were posted and how long they’ve been there but once you notice them, you can’t un-notice them. Best I can tell they come from The Spoon River Anthology, a collection of short free-form poems that collectively describe the life of the fictional small town of Spoon River.